Coleus (Plectranthus scutellarioides) have always made great container plants but there are other exciting ways to add it to your garden, too. Some large cultivars grow over 30 inches tall, and when you plant them in the ground they really take off. The more space you give them to spread out their roots, the larger these coleus grow. SuperSun ‘Plum Parfait’ is the anchor in this combo. It grows up to 3 feet tall and creating a nice, full hedge to back up other plants. 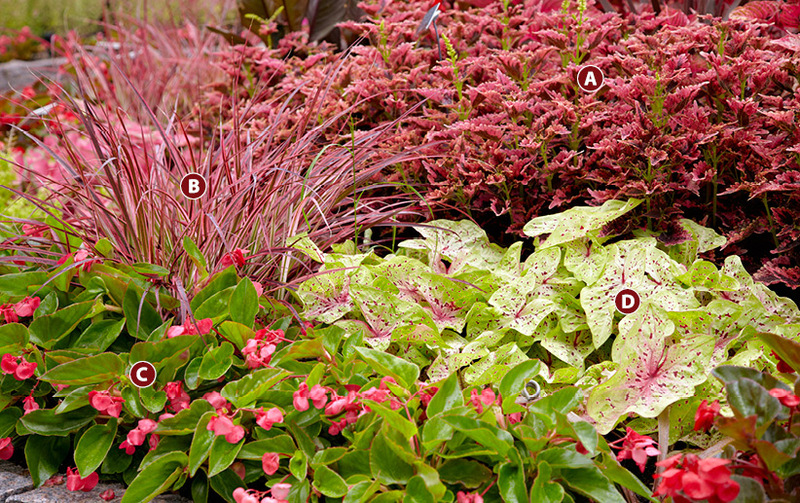 Foliage can help make the transition from a sunny area to a shaded one. Many coleus can handle both conditions, and the ‘Plum Parfait’ here is a sun-tolerant hybrid. And while the grass will get the richest color in sun, it will still grow quite well in some shade. Caladiums don’t like full sun so grow them in at least part shade, such as in the shadow of these taller plants. 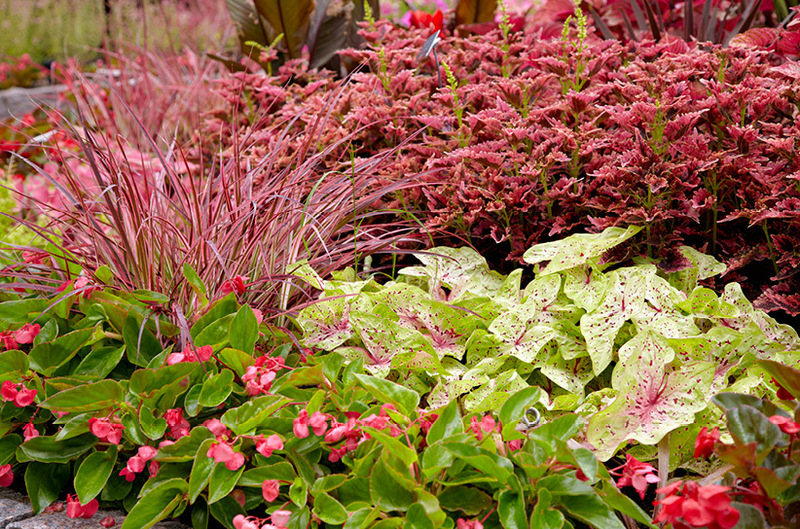 If you're interested in another great combination of plants, grow this colorful flower combo.